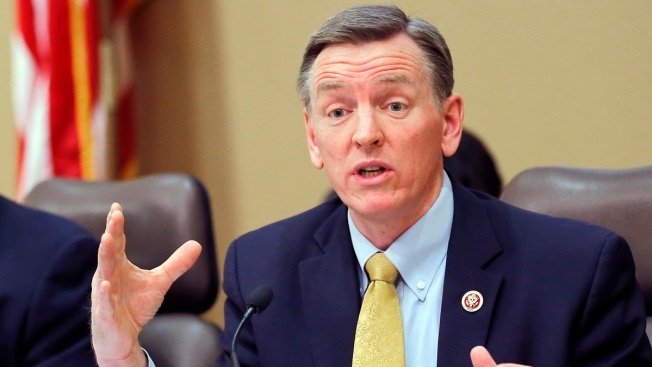 In this Dec. 2013, file photo, U.S. Rep. Paul Gosar, R-Ariz., speaks during a Congressional Field Hearing on the Affordable Care Act in Apache Junction, Ariz. Six siblings of Gosar have urged voters to cast their ballots against the Arizona Republican in November 2018 in an unusual political ad sponsored by the rival candidate. The television ad from Democrat David Brill combines video interviews with Gosar-family siblings who ask voters to usher Paul Gosar out of office because he has broken with the family’s values. They do not elaborate. Phone calls Saturday to Paul Gosar's offices in Washington and Arizona were not returned but he tweeted in response.